A project of that scope simply can't happen right now without a major shift in priorities or new money. 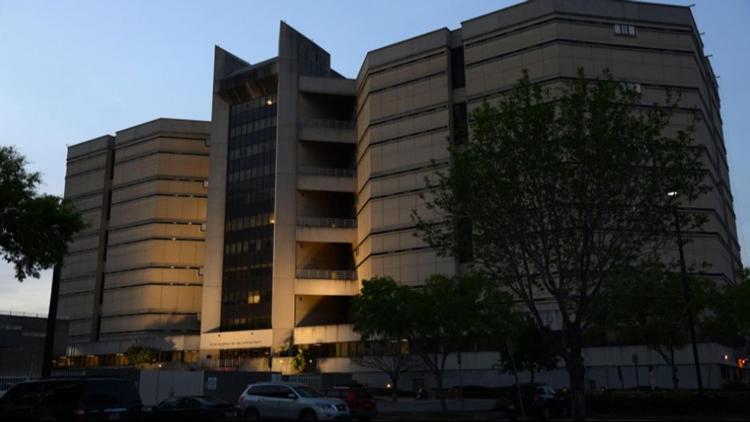 Recent comments from one of Mayor Lenny Curry’s top lieutenants has reignited the longstanding dream of city leaders that the hulking Jacksonville Sheriff’s Office headquarters and jail on downtown’s waterfront could one day be relocated. Here’s the reality: It’s not happening anytime soon. City Hall’s budget as currently constituted simply can’t pay for a project that could cost nearly $400 million — at least not without a massive change in the city’s priorities, a sudden windfall of new money or mountains of new debt. There is evidence Curry views moving the jail as a long-term goal, but the city has no money to do it — at least for the foreseeable future. The city’s annual budget includes what’s called the “capital improvement plan,” a five-year series of improvements to the city’s infrastructure that includes a lot of unsexy but necessary expenses — like roads, sidewalks, drainage systems — as well as projects for more headline-grabbing priorities like the Jacksonville Zoo and Gardens. Just because a project appears in the capital improvement plan, however, doesn’t guarantee it’ll ever happen. The farther out in time a project appears in the capital improvement budget, the more hypothetical it is. The latest plan, for example, does include the estimated $400 million for one day moving the jail, but the money doesn’t appear until beyond the fifth year of the capital improvement plan, which makes it more akin to a wish list item than a realistic snapshot of the budget. “If ‘committed’ was used the intent was that its already in (capital budget) and we’d love to find a way to advance it,” Hughes said Thursday of his remarks during the Business Journal forum. Taxpayers are already set to help finance downtown redevelopment projects, including Jaguars owner Shad Khan’s plans to turn Lot J at TIAA Bank Field into an entertainment center. It’s not yet clear how much that will cost, but it’s likely to include millions in public subsidies. Add to that the rising cost of doing business, a backlog of needed improvements to neighborhood roads and drainage systems, and Curry’s commitment to not raise taxes, and it’s hard to see where City Hall could ever find the money for such an ambitious project. Downtown boosters have long hoped that one day the JSO headquarters and jail could be moved elsewhere, in theory turning that stretch of Bay Street between the downtown core and the football stadium into less of an eyesore.